Are there any work at home job that allows you to use your laptop? Yes, indeed. 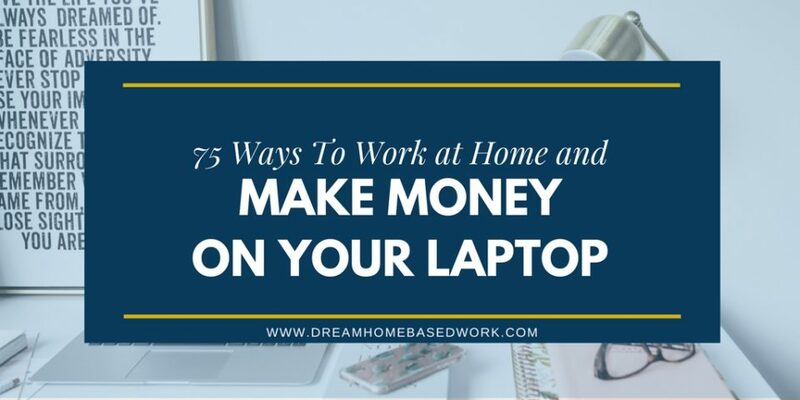 Although most companies that offer home based online jobs require you to have a desktop computer or PC, there are some that have no restrictions and allow the use of a laptop. Additional requirements for such jobs are usually a good internet connection and your time. Here is a list of legitimate virtual jobs in customer service, writing, transcription, and more, that allow you to work from home with your laptop. Call Center QA – Read more -This company offers telephone mystery shopping jobs where you use your laptop to submit and receive shopping jobs. It hires telecommuters that work from home as well as individuals that are disabled as part of its workforce. Maritz Research – Get hired as a research interviewer and conduct surveys authorized by major corporations. As a home-based interviewer, you will be handling outbound calling but without the use of a land line. Great Virtual Works – This company is a virtual call center that hires independent contractors to work in their Sales and Customer Service department. These jobs are open to individuals looking for work from home jobs. Uhaul –Read review– Get hired as a work at home reservations agent by Uhaul on an occasional basis. The job involves handling different types of calls and requires that you work in a quiet place with no background noise. Telexpertise – This is another telephone mystery shopping position offered by Telexpertise for those looking for home based positions. You will be responsible for making phone calls to different locations asking detailed questions. Pierce Eilsen – This telephone mystery job involves gathering information on different apartment complexes to ensure that they are accurate and updated. The information is then passed on to different organizations that need it. AccuTran Global – Offers transcription jobs that are home based to residents of the United States. You will be doing transcription for interviews and financially related conference calls. Allegis – Based in United States, the company offers transcription services among others to home based workers. The main clients of Allegis are insurance companies which mean the transcribing you do, will involve conversations that have more than one person speaking. Appenscribe – General transcription jobs from Appenscribe are open to everyone looking for a work from home position. The company does not need previous experience before hiring transcribers making it ideal for newbies. Dion Data Solutions – This is a data management bureau that hires home based workers to do data entry work. To apply, you must be able to type fast, at least 60wpm and be able to handle a variety of computer related tasks. Speechpad –Read review– If you are hired as a transcriber on speechpad, you will be involved in converting speech to text for a number of insurance companies. Their projects are done through the speechpad job board where you can pick up one that you can deliver in good time. Transcribe Me –Read more– Transcription jobs offered by these company involves converting audio files recorded at business meetings, church sermons and other speaking platforms. You can get jobs that take hours to complete and others that can be completed quickly. Rev.com – This is a transcription company that offers work at home jobs in captioning, translating, and areas such as business, academics and medical among others.It is very possible to earn a monthly income up to $2000 per month captioning videos, TV shows, and movies. Tiger Fish – Offers general transcription jobs to work at home transcribers with good pay. You do not need any previous experience to work for them but you must complete a test before starting to transcribe. Cha Cha – This company pays you to chat and provide answers to questions online in real time. As an independent contractor, usually referred to as”guides”, you interact with online users through the site, text messaging or their mobile application. Experts 123 – You can work for this company as a contributor and offer your expert advice to people seeking solutions to different problems. This question and answer site pays contributors well but using a revenue sharing model. Paid Forum Posting – Get paid to chat online if your primary language is English and can offer responses that are not less than twenty five words. Payment is from $0.20 per post but you have to submit posts for evaluation before getting hired. PostLoop – Get paid to post on forums and blogs but you must be fluent in the English language. The company offers jobs to people from all over the world. Amazon Mturk –Read more– Get paid to complete micro tasks that vary depending on the projects available on the site. Some tasks include writing and data entry among others, with the pay varying from one job to another. Humanatic – When hired at Humanatic, you will review and sort phone calls that have been made by customers of a number of their clients. These calls are examined to determine their quality in regard to the businesses they represent. Agent Anything – This company is specifically set up for college students that are looking for jobs to do and get paid. Online users post errands that need to be done on the site and students claim it and get it done. Clickworker – A variety of tasks available to home based workers with a working computer and reliable internet. The jobs are open to people from all over the world. Payment for completed tasks is done via PayPal. Crowdsource – Get hired to do tasks that do not take a lot of time to complete which may include editing or writing jobs. Some of their jobs are also posted on Amazon Mturk. Task Rabbit –Read Review– Get paid to run errands and complete tasks on the Task Rabbit site. The company acts as a go between for you and the people that need tasks to be done for them either online or within the local area. ASAP Tutor – Offers homework help to college students through qualified teachers. To get hired by the company, you need to have a masters’ degree and enjoy teaching students as a profession. Brainfuse – This is a tutoring company that offers their services to students from the third to twelfth grade every day of the week. When hired to tutor students, you do it from their homes using Live Help. Chegg– Read more-Get paid to offer online tutoring services to students needing help in different subjects especially math and science. You will have to download software from their site and have equipment such as a microphone and webcam. iTutor Group – Earn money teaching English to students from different parts of the world with majority of them being from Asia. You will be teaching them conversational English that they need apart from their basic knowledge of the language. Cash Crate – When you take online surveys, play games, watch videos, and more on the Cash crate site, they pay you for it. Payment for the surveys done is paid for by check. E-poll Surveys – On this site, members earn rewards by taking surveys online on different subject matters. In most cases, the survey questions are about TV shows, news stories and movies making them interesting to fill out. Global Test Market – Get paid to test products and take online surveys. Your payment will be made via check or PayPal which can only be withdrawn after they accumulate to $50 which is equivalent of 1200 points. iPoll Surveys – This is a survey panel that pays you for participating in their surveys and even for signing up. For signing up, you get paid $5, but for the surveys it may vary from one project to another. Payment is through PayPal after it reaches $50 or you can get an Amazon gift card instead. Opinion Outpost – Taking surveys offered by this company earns you cash and other rewards. Cash payments are made through PayPal but can only be withdrawn when the account has $10 or more. Paid Viewpoint – This company offers surveys that are brief and easy to do for online users interested in filling them out. Payment is through PayPal when it reaches $15 and usually on the day when request is made. Pinecone Research – Fill out surveys on different topics offered by this company and get paid $3 for each one of them. Payment is made within two days or less via check or even PayPal but other rewards also exist. Survey Savvy – This company has a lot of surveys to be filled out and pays you by check or cash for completing them successfully. Also, earning money can be done through referrals to the site. Mindswarms ( Webcam Required ) – This company conducts its survey in a setting that resembles a focus group except that you remain in your current environment. You will need a webcam to answer the surveys and expect at least $50 for every survey completed. VIP Voice – Earn points that allow you to win electronics, cash and other prizes when you complete surveys on VIP Voice. These prizes are won through an auction set up by the company as they do not pay using cash. 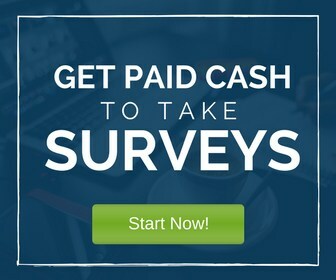 Click here for more paid survey companies. Elance – Get paid by doing a variety of online jobs from the comfort of your home. Some of the freelance work offered on Upwork includes proofreading, writing and editing among others at an agreed fee. Upwork – This company was known as Odesk before a merger and has many jobs to choose from. The assignments are priced as hourly or fixed and can be picked up by freelancers all over the world. Fiverr – This company offers a variety of micro jobs from people all over the world, referred to as “gigs” for $5. You can create a gig and get paid for a service offered but with $1 being retained by the site. Freelancer.com – Get a chance to select work projects that cover a variety of industries and get paid for it. The site is easy to navigate making it possible to quickly find and do tasks for good pay. Guru – This company offers a wide variety of jobs for freelancers that have been put up by individuals and companies. When hired, payment for completed task is done through a safe pay system like PayPal. iFreelance.com – The site allows you to bid on as many projects as you desire as long as you become a member. When work is completed, you get paid the agreed amount with your employer. Project4Hire – Online jobs provided by this company include writing, designing and programming among others. When paying for work done, they retain 5% commission and release the rest to you through an escrow system. People Per Hour – Send proposals for jobs that interest you on the site or create “hourlies” informing users of projects you can handle. Jobs are mostly for United States and UK residents although open to all. Payment is done through PayPal or direct transfer to your bank. 99 Designs – This design company offers you a chance to participate in contests that allow you to come up with designs for clients. If your design is selected, you get paid the agreed fee through reliable payment options. Analysia – Test out websites and report feedback using a webcam and microphone on your computer. Most companies will provide instructions to follow during the actual testing for better results. Pay is $10 per test. TryMyUI – Visit websites and record your interactions as well as thoughts to provide feedback to website designers. The sites might be new or already in existence for a while. Pay is $10 per test. Userlytics – Navigate through websites while speaking out your thoughts on its layout and other components. You will need a webcam and microphone to allow webmasters to see expressions and hear your thoughts on a site simultaneously. Pay is $10 per test. User Testing – Test websites using an online based screen recorder that is provided by the company offering the job. The recorder picks up your clicks and mouse movements when going through a site. You will also need a microphone and working computer for the job. Pay is $10 per test. UzerZoom – Earn money by providing reactions to various websites when you navigate through them while performing tests. You will need reliable internet, webcam and microphone to do the job. Pay is $12 per test. Whatusersdo – This company is UK based company that pays you to test out different websites. Your movements are recorded as you go through the site and speak out your thoughts through a microphone. Pay is $8 per test. Click here for more website testing opportunities. Blogmutt – This company is looking for freelance writers with strong grammar and research skills. Dot Dash – Offers experienced writers a chance to submit articles to their site for publishing. You should be an expert in your area of interest and be able to convey information in a compelling and friendly way. Coffeebreakforwriters.com – Write on topics related to the publishing or writing industry to attract writers to purchase other articles done by you. Articles that have a word count of 500 can be bought for $15 or more. Copify.com – Freelance writers can get paid for their articles, blog posts, reviews, press releases and social media posts among others. This company hires freelancers in the U.S and U.K, with payment of writing projects varying on the site. Families.com – Get paid to blog on different topic categories like entertainment, health and money among others. The content should be at least 300 words in length and will attract a pay of $4 for every blog post created. Internet Brands – Offers article writing jobs for freelance writers and requires a sample article to accompany your application. They are interested in niche topics and have a specific format that writers must follow for articles to be accepted. Payment is on time from $10 or more. London brokers – This is a publishing company that hires writers to create content for their clients for online use. Subject topics accepted by the company include parenting, business, travel, pets, music and nutrition among others. Payment for content submitted to the site varies. LiveStrong – This company hires freelance writers that have experience in writing articles related to nutrition, fitness and health. They hire from different parts of the U.S and pay well for articles submitted to the site. Textbroker – Gives a chance to beginner writers to test out their skills because they do not ask for previous experience. Editors provide reviews to writers to help them improve their skills over time. Payment is on a weekly basis. Text Master – freelance writers that set up accounts on the site get paid for services such as copy writing, web content creation and article writing among others. The working hours are flexible and payment varies based on your experience. Triple Curve – Read more– Work from home freelance writers earn money from occasional projects put up by this company. You have to be skilled in presenting of information in a concise yet captivating manner while observing instructions within the style guide. Write.com – Freelance writers access writing projects on crowdsource platforms through this site and get paid once they complete the work. Payment for work done is fair when compared to similar sites. Writers access – This company provides a rating system that they use to determine the amount earned by a writer on the site. The rating ranges from two to six stars and can fluctuate depending on the type of work being submitted. Payment can be between 1.4 cents and $1.40 for every word, to be paid through PayPal on a monthly basis. Writersdomain.net – Write keyword-specific articles that will be given a star rating when completed to determine pay. Payment is from $15 to $38 on a monthly basis through PayPal when account has a minimum of $100. Apart from payment, bonuses are also made available. Assistant Match – The US based company is a staffing agency for virtual assistants that provides jobs to interested individuals. You do not need to have previous experience to work for then. Equipment needed for the job is reliable internet, home phone, working computer and a printer. Fancy Hands –Read Review-This company hires virtual assistants that are home based but can work from any other location as well. You do not need a phone line to do this job, which makes it quite flexible. Payment is based on the complexity of the task and can range from $1 up to $5 for each completed task. Time Etc. – Hires virtual assistants to work for entrepreneurs as well as business owners from home on a regular basis. They hire assistants from the US and also UK for a pay of $11 to $16 per hour though PayPal. Virtual Gal Friday – Get paid to offer virtual assistance to office managers as well as subordinates in different companies. The position is home based and involves the offering of different services at an agreed fee. Payment varies from one client to another. EaHelp – This company is US based and only hires residents of the country as independent contractors. It offers jobs to virtual assistants from all parts of the nation to provide services to their clients, part time or full time. Payment is fair when compared to similar companies. Click here for more Virtual Assistant jobs. Arise – This company provides customer and sales support to businesses in various industries. You will be handling customer service inquires on behalf of clients that have contracted Arise for such jobs. Payment is varied and depends on the project which can be done using a normal PC or Mac computer. Home Shopping Network – Becomes a sales representative at HSN if you live in the United States. They usually hire in St. Petersburg FL, Nashville TN and Roanoke VA, which is near their training facility. Payment is from $10 to $11 per hour. 3 Play Media – This company offers jobs in captioning as well as transcription for those looking for work at home opportunities. You have to be a resident of the US and be college educated to be hired. The working schedule is flexible and pays hourly between $10 and $25. Neiman Marcus – Get hired as a work from home customer service agent in the areas of Dallas, Texas. It is an established company that pays agents hourly rates of $11 to $16 whenever work is completed well. Voice Log – This company hires independent contractors to work from home as customer service agents. You will be providing services such as call verification as well as recording to clients that are well established. 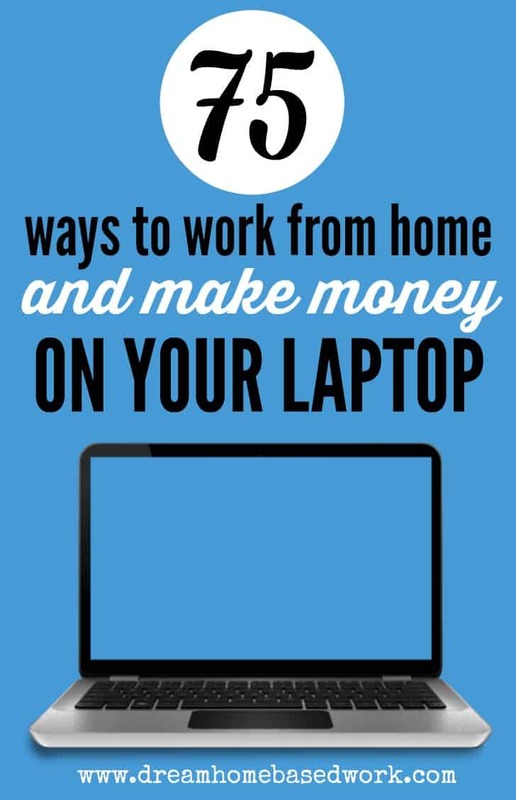 When it comes to work at home business, you should decide on the topic that you are interested on. If you like writing, then you can work from home writing articles at sites such as Elance and upwork. Also if you have transcription skills, you will find many companies that offers you great opportunities. For me I love the idea of being at home and working online, that makes sense, staying with my kids and making money at the same time. Currently I`m working as affiliate marketer promoting several digital products on various niches.